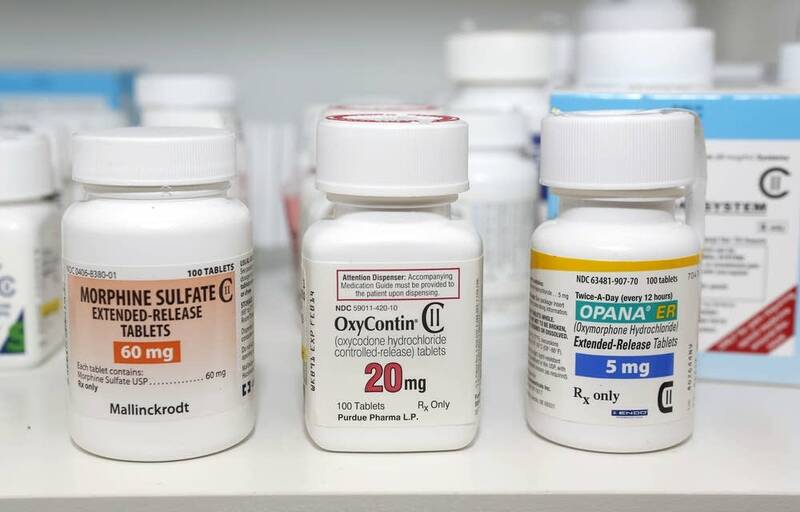 The opioid stewardship bill advanced in the state Senate on Tuesday after the bill's author replaced the "penny-a-pill" fee on opioid sales with an annual $20 million in set registration fees to be paid by pharmaceutical companies. The funding would pay for programs to address the opioid overdose epidemic, as well as to pay some of the cost, currently born by counties, of caring for families affected by addiction. While the previous version of the bill included a fee per each opioid milligram sold in the state, and more depending on the type of opioid, the amended legislation would assess fees on manufacturers and wholesalers proportionately based on their opioid sales. The bill's author Sen. Julie Rosen, R-Vernon Center, said it's modeled on a New York state law, which is expected to raise about $100 million annually from drug manufacturers and distributors. "This one actually gets to the heart of what we want to," Rosen said. "We need some accountability coming back from the manufacturers and wholesalers, but it also does it more fairly and precisely." The change in the Senate bill's funding is intended to address opposition that the penny-a-pill fee on opioids amounted to a new tax. I don't have to have that argument about a fee versus a tax," Rosen said during Tuesday's hearing. "This is the cost of doing business." Rosen said she wanted to avoid using taxpayer money to address the fallout of the opioid epidemic, which many attribute to overprescribing of opioid painkillers. "I just feel really adamant against using general fund dollars to pay for someone else's mistakes," Rosen said of pharmaceutical companies. "They've been sued. They've settled in many court cases, and I just feel like this is a very fair way of doing it." Under the new version of the Senate bill, the Minnesota Board of Pharmacy would assess $12 million every fiscal year from manufacturers based on the opioids the companies report selling. Wholesalers would be assessed a total of $8 million. The bill includes almost $1 million in funding for state agencies, including for drug scientists at the Minnesota Bureau of Criminal Apprehension. The remaining funds would be split between county social services and grants awarded by the stewardship council. The bulk of the funding will go into effect in fiscal year 2020. The 18-member Opiate Stewardship Advisory Council includes lawmakers, doctors, a representative of opioid manufacturers and a member appointed by the Steve Rummler Hope Network, a group that has pushed for more funding for prevention and treatment of opioid abuse. Lexi Reed Holtum of the group said it's important that the bill still holds the pharmaceutical industry accountable. "It's not as direct a fee as we were hoping for," Reed Holtum said, "but given that it still creates a dedicated fund that's paid for by pharma, we're really happy about that." Gov. Mark Dayton has pushed strongly for the "penny-a-pill" legislation. Dayton's staff says Rosen's amendment is a good alternative. Some groups representing business and pharmaceutical companies opposed the previous version of the legislation. A spokesperson for the industry group Pharmaceutical Research and Manufacturers of America (PhRMA) said the group is still reviewing the language in the amended bill. Americans for Prosperity opposes the legislation. State director Jason Flohrs said the registration fee would raise costs for patients. "Regardless of what you call it or where in the system it is imposed, this is still government imposing additional cost burdens on individuals and families, many of whom are already struggling to afford health care," Flohrs said. The Senate version of the bill advanced unanimously to the Rules and Administration Committee. The House version includes funding from the state general fund. If both bills pass, the differences will be worked out in conference committee.